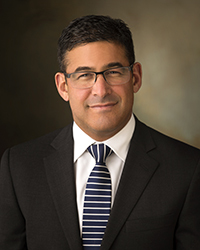 OGDEN, Utah – Weber State University’s Dr. Ezekiel R. Dumke College of Health Professions (DCHP) will host Dr. Marc Harrison, Intermountain Healthcare CEO, for a lecture Feb. 15 at 2 p.m. in the Shepherd Union Ballrooms. Harrison’s efforts include projects to make healthcare more effective, accessible and affordable, as well as collaborations with community partners to address social and economic factors that can adversely affect people’s health. WSU is the largest provider of nurses in the state of Utah and also offers a variety of other healthcare programs. WSU students can pursue degrees in nursing, radiologic sciences, health administration, medical laboratory sciences, respiratory therapy, emergency healthcare sciences and more. With affordable tuition and online degree paths, WSU regularly places among the top colleges for healthcare programs, and many Dumke College graduates find employment through Intermountain Healthcare. In addition to guest lectures, top-notch facilities and professors experienced in the field, WSU’s Dumke College also offers a variety of opportunities outside the classroom, including study abroad programs that help students gain global perspectives of the healthcare industry and hands-on experience helping people worldwide.